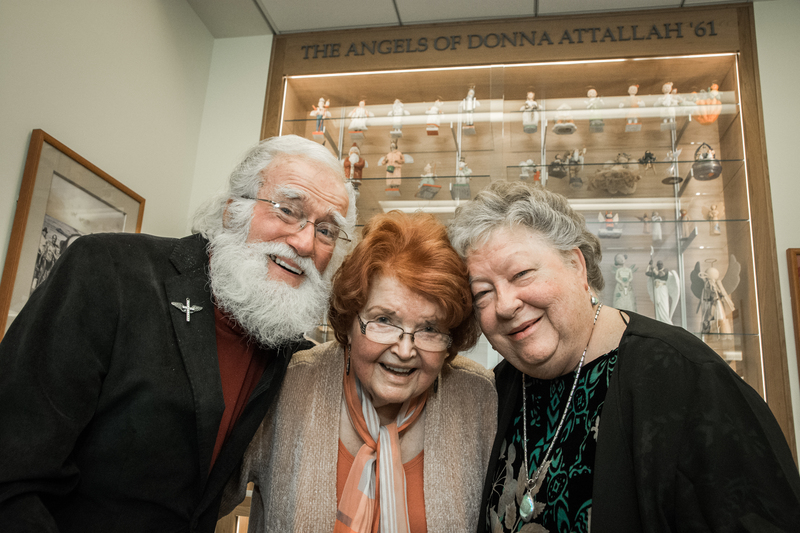 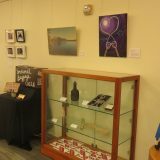 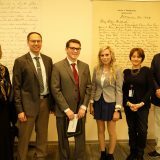 The Leatherby Libraries recently dedicated our newest group study room, the Donna Ford Attallah ’61 Angels Room. 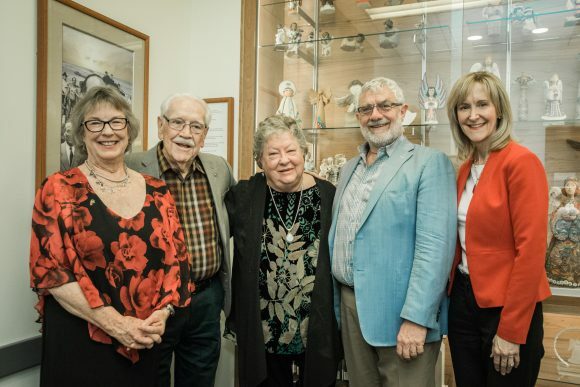 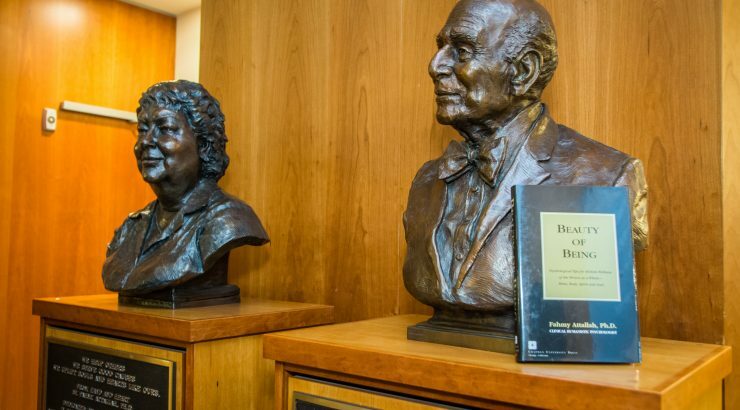 Donna Ford Attallah, Chapman alumna, Trustee, and university donor gave the Leatherby Libraries an extremely generous gift towards one of our group study rooms, as well as a selection from her impressive collection of angels to permanently decorate the room. 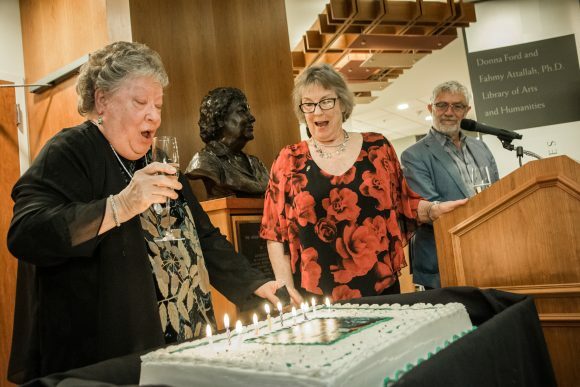 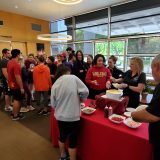 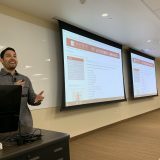 On February 12th, members of the Chapman University community gathered on the second floor of the Libraries to dedicate the new room, and to celebrate Donna’s birthday, as well. 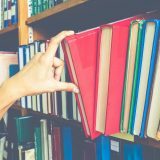 The group study room, #215, is now available for use by students, and is part of our themed story room collection, each dedicated to a different topic. 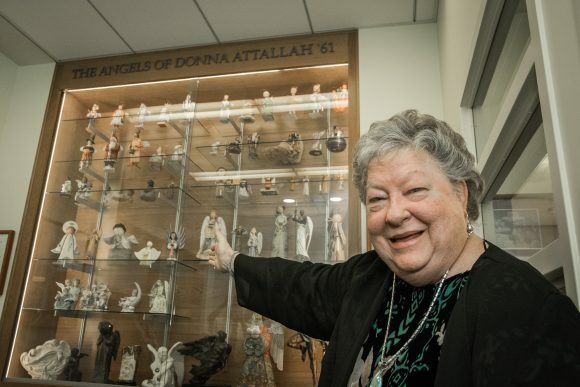 In addition to the selection of Donna’s angels, the room also contains a selection of approximately 100 books from across the Leatherby Libraries collection, all related, in some form, to the topic of angels. 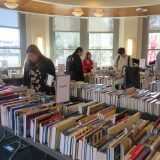 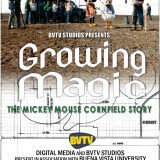 These books are available to be checked out through request to Circulation. Thank you, Donna, for all that you’ve given us here at the Leatherby Libraries! 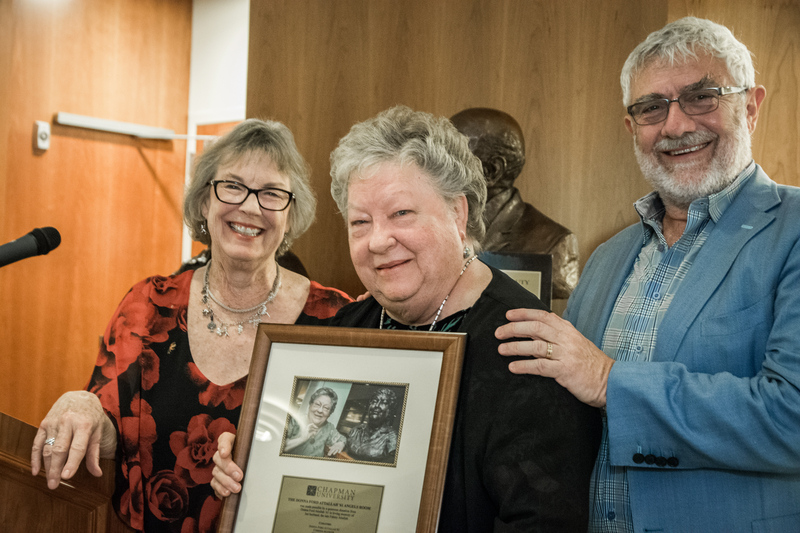 Dean Charlene Baldwin and President Daniele Struppa present Donna Ford Attallah with a gift. Donna blows out the candles on her birthday cake while Charlene and President Struppa sing. 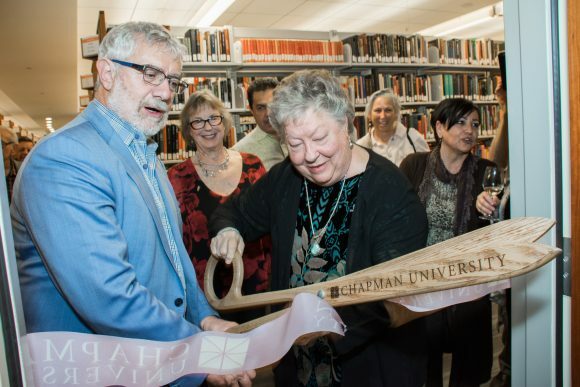 Donna cuts the ribbon, officially opening the Donna Ford Attallah ’61 Angels Room. Donna shows off the selection of her angels, chosen carefully by her and generously given to the Leatherby Libraries. Donna with Ken Knight (left), artist of several of her angels, and his wife (center), Jan Knight.